St Phillip's Church, Higher Macdonald, is a small timber chapel, 18km further up the Macdonald River ("the branch") from St Albans. A triangular plot of land was granted in 1864 for the building of a church, a school and a parsonage. Records suggest that the school (operating part-time) did exist but there is no evidence of the parsonage being constructed. We have no details of the original church but recent investigations show that the floor of the present church, up to the altar rail, dates back to the original building. A news report from Windsor and Richmond Gazette of Sat. 24th Feb 1900 states "The building which has for many years been utilised for church purposes at Higher Macdonald has been demolished and a neat wooden structure is to be erected on the site." "The Rev. F. Cadell has charge of the arrangements" which "make four new churches built since Mr Cadell took charge of the parish five years ago". However it was some time before the new church was opened, with the first service taking place in 1913. The church had a major restoration and re-dedication in 2011. Services are held every two months, with special picnic services twice a year - for details see our services page. Another tiny Anglican church, St Matthew's at Upper Macdonald, was also built under Cadell's rectorship "most of the timber being now on the ground" in 1900. 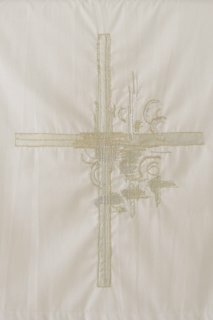 This was located near the turn-off to Gorrick's run and took over church functions from the school there, which had been licensed for divine worship since 1867. Neither building survives. 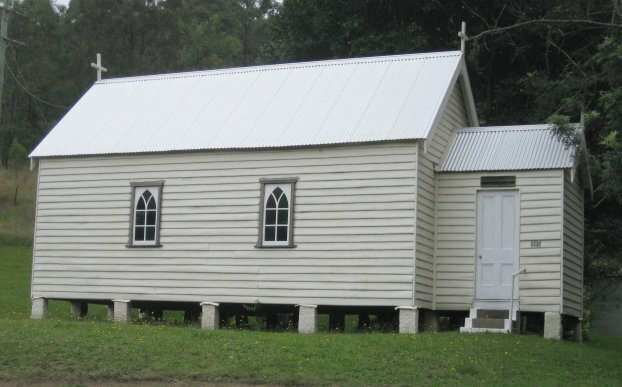 A replacement church was built in 1932 and this was removed to the Australiana Village (a reconstruction of a convict-era community) at Wilberforce in the 1950s. The population of the Macdonald valley had decreased substantially after the great flood of 1949. Acknowledgement Much of the information here comes from a mimeographed book produced by Kenneth Hunt in 1992. This page is still under construction - anyone with more information should please contact Guy Cox.